Keeping you in touch with the achievements of Tiger-Do Martial Arts. We would like to acknowledge and thank 'The Market Grocer' www.themarketgrocer.com for their sponsorship of the event. This included food and drink for all members and their families. Their donation was greatly appreciated. On Sunday 7th of Feburary 2016, Tiger-Do Martial Arts was selected to attend the DCO (Defence Community Open Day) as the martial arts academy of choice in the local area. 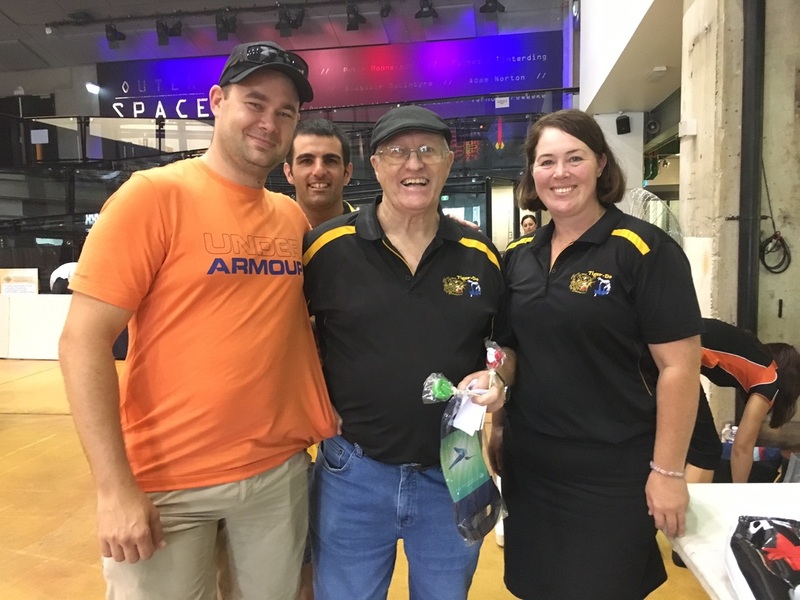 Terry, Belinda, Kristin, Hans and Darren lead the charge with Keana, Tayissa, Lincoln and Harrison being the athletes selected to speak to Defence Force families. 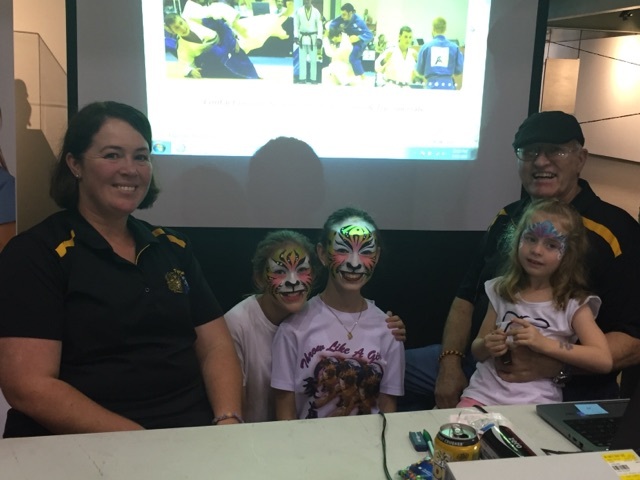 Hundreds of families poured through the doors of the Powehouse Museum at Casula and many were interested in hearing about what Tiger-Do Martial Arts has to offer. 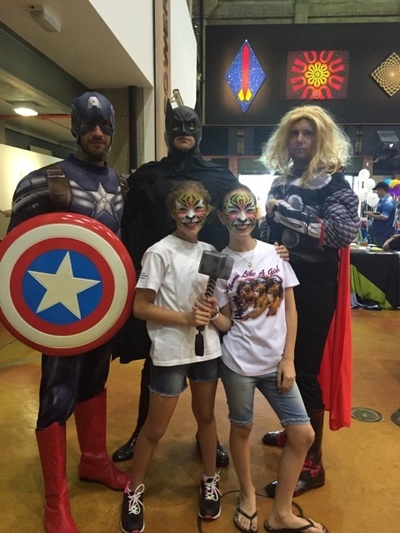 The day was a great success and everyone had a great time. We look forward to welcoming potential new members to the Tiger-Do community. Thank you to the DCO for allowing us to attend this event. We look forward to our new found partnership and what lies ahead. Tiger-Do Martial Arts has a strong history and tradition of Judo In Schools. For a number of years, Terry has been teaching the students of Merrylands High School. An excursion was organised to attend Tiger-Do. The students had the opportunity to meet Heath, an Athens Olympian. Heath achieved a highly credible 11th place in the U/66kg division at the 2004 Olympics. The Merrylands High School students were very receptive to Heath and thoroughly enjoyed the visit to train with fellow judoka. The students behaviour was impeccable. A great night had by all. The Tomlin family (Tayissa, Lincoln and Harrison) got to show their judo talents to the Wattlegrove Public School community at their Annusal Feter. Many thanks to Liam, Nicholas, Marcus, Ivona, Andrej, Keana, Markitaand Tayissa, Lincoln and Harrison for being involved in the display. It was great to see Liam 'captain' the team! Thanks to Wattlegrove PS for having us! We loved the rides, the food and the stalls and of course, a great school. Thank to to Dean, Gerardo, Liam, Jad, Ivona, Marissa, Deana and Markita for their participation in judo display at the Yagoona PS Fete. A great and large crowd really got into it! Check out the YouTube clip! 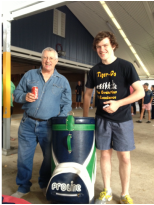 Tiger-Do trains at Yagoona Public School each Wednesday from 6:30 - 8pm. If new members mention this clip, special discounts apply from the "Come and Try" program. Contact Tiger-Do Martial Arts for more. Thank to to Nestor, Jacob, Jessica, Liam B, Liam Mc, Nicolas, Ivona, Marissa and Deana for their participation in judo display at the Clemton Park PS Fete. A great and large crowd really got into it! Thanks also to Nigel and Girardo for their participation and to Terry and Belinda and to our parents for their support. The video footage of the display will be uploading soon. Jessica Girardi was nominated for the BCC Youth of the Year Awards. She was a Finalist and achieved 2nd place (1st runners-up) in the competitive field. 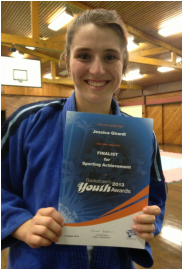 In 2013, Jessica has medalled at State, National and Oceania competitions. She was selected to represent Australia at the 2013 Junior World Championships. Jessica is completing her HSC at Georges River Grammar. Tiger-Do, and her family and friends congratulate her on this high and well deserved accolade. 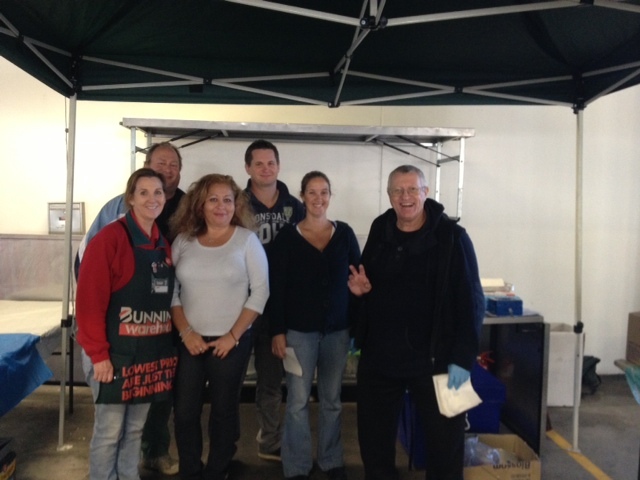 As a fundraiser, Tiger-Do Martial Arts was supported by Bunnings and held a Community BBQ at the Greenacre store. A BIG THANK YOU to Nigel for organising the BBQ and to all the supporters who helped at the stall. 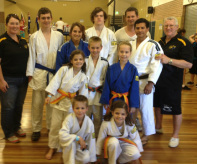 Tiger-Do Judo is proud to support Yagoona Public School as it celebrates it's 60th anniversary. Thank you to those that helped out at the "Tiger-Do stall" and during the display. Throw of the day was Jacob's standing Kata-Guruma on Andrzej! We welcome any prospective member that took one of our pamphlets outlining a free 'Come and Try' class during the month of April.